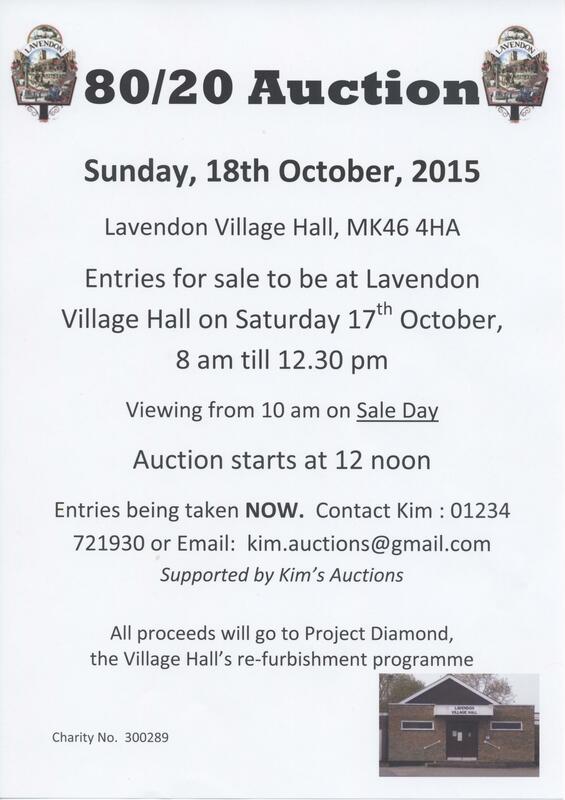 Lavendon Village Hall is holding an 80/20 Auction Sale on 18th October 2015. Now is the time to get your entries into the sale! Posted on Friday, 25 September 2015 by Editor •	This entry was tagged Events, Village Hall. Bookmark the permalink. An Auction Sale was held on 5th November 2016 and so another one is not likely to be held for another few months at least. It is possible one will be held in May by the WI, but that is yet to be confirmed.